It can be quite embarrassing to travel with a luggage that seem to reveal the innermost details of a trip, especially when there are things that doesn't have to be seen by other passengers more so in an airport. While travelling can be fun and exciting, having to conceal a dented suitcase or a gaping tear that may just as well threaten to open by itself is certainly no fun for any seasoned or new traveler. It is therefore important to invest in a good quality bags and suitcases that you can depend on for any travel needs you may have. A reliable set will not only offer you the convenience of packing correctly, it will also give you the peace of mind to know which is where, and know that you wont be paying extra for staggering baggage fees in airports and terminals. With a sturdy and trustworthy set in hand, you can surely take a fun and worry-free vacation knowing that the items you have packed for a two-day or week-long trip are all neatly tucked in place with nary a threat of losing or damaging contents. Of course, you'd be proud to see them pass through the baggage conveyor in their splendid and pristine condition. 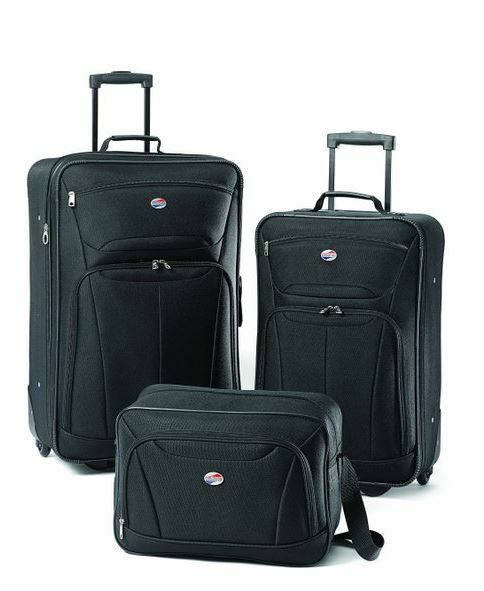 Spinner Luggage Set comes with multi directional 360 spinning wheels on each corner for the ultimate in maneuverability with a smooth glide in any direction. 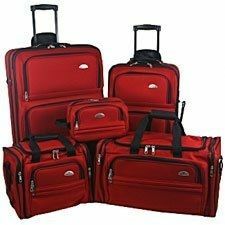 These baggage pieces are built of sturdy material, light enough, spacious, do look sharp, and great with good quality. You can definitely pack a lot of you belongings in these sets. You can by a single bag with spinner wheels. If you need more packing space, you will find sets of bags consisting from as few as 2 bags and up to 7 or even 8 bags. You should keep in mind that 7 piece spinner set will have 4-5 spinner bags and also several shoulder bags or backpacks, so not all pieces in spinner set are in fact spinner bags. 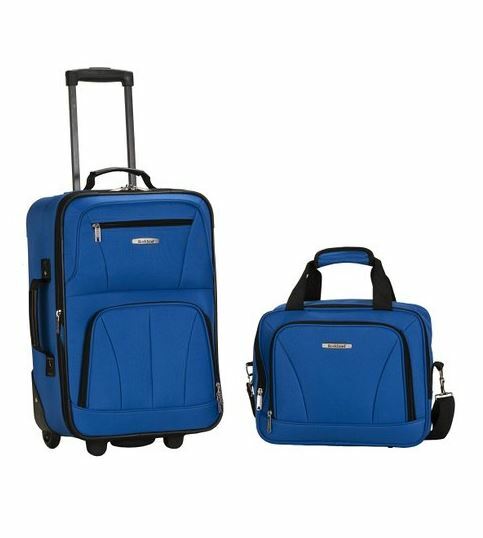 As spinner suitcase sets are easily maneuverable, the materials used in making them are also of utter importance. Sure, such a luggage allows for less stress and straining while handling them, but a real good quality spinner case is one that is lightweight and easy to adjust. Most materials for a spinner cases are polyester, leather, ballistic nylon and polycarbonate. 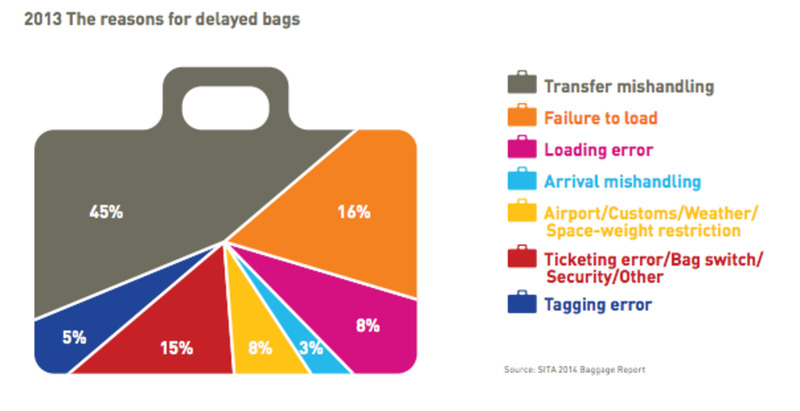 Travelers would prefer the lightest in weight for easier handling. Given how limited spaces and allowances for baggage are in airline companies, choosing one that is both lightweight and durable makes a great advantage for travelling. Also, these sets reduce traveler’s stress and possible injury in the back and arm. It would be nice to carry only a few bags that can contain all your necessities with the least amount of space needed. This is one advantage of a 2-piece luggage set. They are handy and easy to handle. With quirky and sensible designs to choose from, these pieces can provide much needed relief and security for any traveler who wish to journey in style but with less the number of bags to carry. The sets are all designed with utmost consideration for functionality and space. This is why a good number of travel connoisseurs are picking these sets for its great advantages. No need for you to worry about leaving off some items for fear of an excess during check-in or inconvenience when passing through narrow airport aisles. Traveling for a couple of days or weeks can be disastrous if you do not have the right type of suitcase in tow. 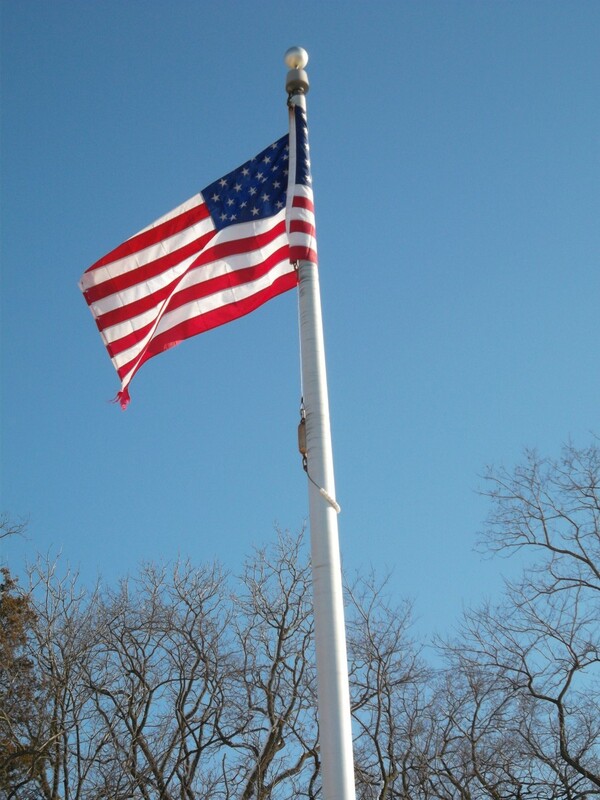 Knowing where to put what seems more complicated than you already think it is. Securing your passport, IDs and some travel documents can be way too easy if you have a three piece set. With multiple compartments and convenient handles for easy grabbing during check-in time, this set is a must-have for anyone who travels often. The comfort it provides ensures a safe and frills-free vacation or business trip in domestic or international location. 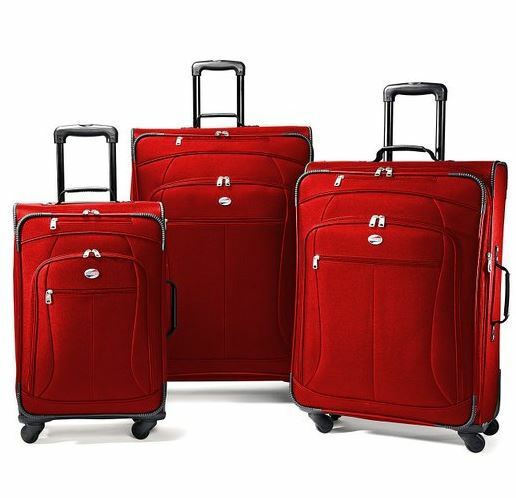 And with durable quality, fashionable designs and excellent maneuverability, a three-piece suitcase set is worth investing for. Those who travel for longer durations would want to think about getting a four-piece luggage set. With enough baggage space to accommodate all your travel essentials and clothes, you might be surprise to know there’s still space for packing a souvenir item or two from a vacation place. Most of these pieces come with expandable capabilities that allow for more packing power especially for those long vacation trips and holidays. 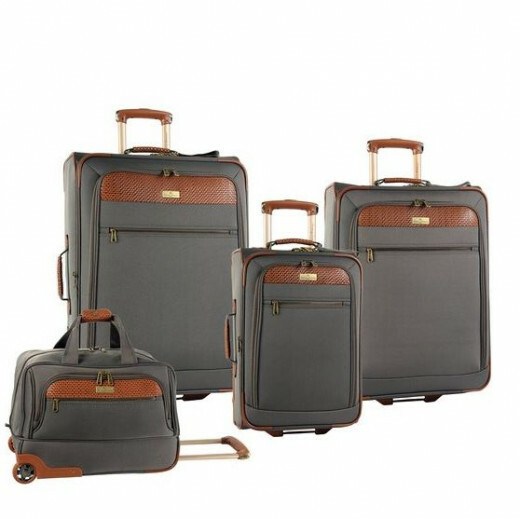 With sturdy materials to withstand the rigors of far-flung travels and destinations, a four piece set will certainly prove to be a worthwhile investment for travelers who seek both style and convenience in a travel companion. 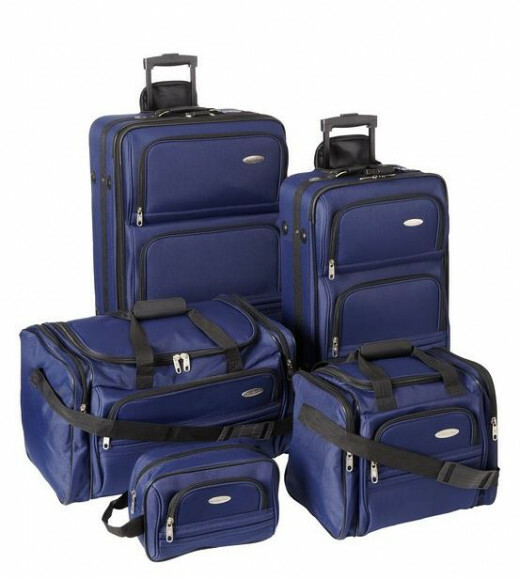 Easy traveling in style with these suitcase sets consisting of 5 pieces. These feature recessed, locking telescoping handle system, in-line skate wheels, top and side carry handles, plus an add-a-bag strap, and front exterior pockets. Duffel and tote feature adjustable, removable shoulder straps and multiple exterior pockets for superior organization. You’ll definitely love these sets. The ultimate in traveling must-haves, a five-piece set is the titanic of any seasoned traveler. They are all of quality material, maximum spinner wheel advantages and shockingly lightweight for their look. These wonders of a luggage make for excellent travel partners. With compartments that could fill out any travel needs, this set can carry all your travel essentials with more than enough space to cover items you may be acquiring during the course of your trip. In fact, they make for great house transfer or site relocation buddies. They are stylish too! With fashionable designs and functional spaces, the five-piece set is truly something worth having – whether you are a seasoned or new traveler. It is comfort, durability and functionality rolled into one excellent set. Wow your lens is awesome. 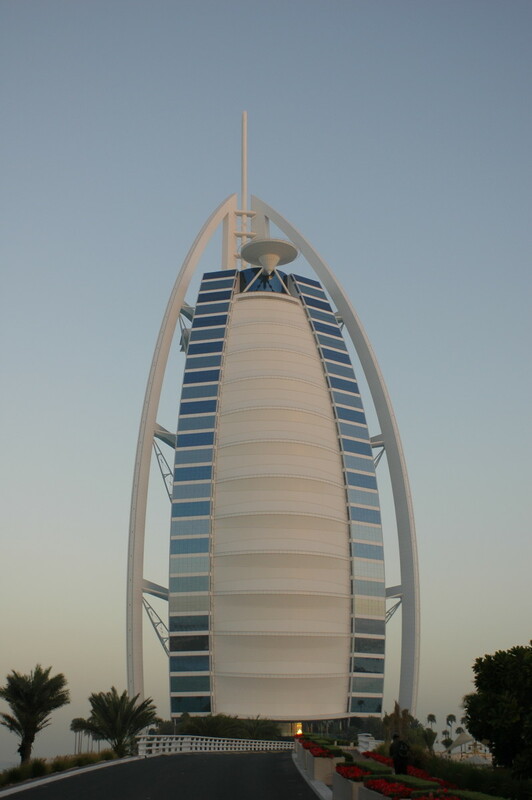 Please visit and like my lens on http://www.squidoo.com/the-greatest-rolling-luggag... Thank you so much. Have a great day ahead. I really like brightly colored luggage or unusual designs like your zebra print. Those pieces are so easy to find in a busy airport!